“Knxwledge needs cantaloupe. So we’re waiting. Well, to be clear: I’m waiting. 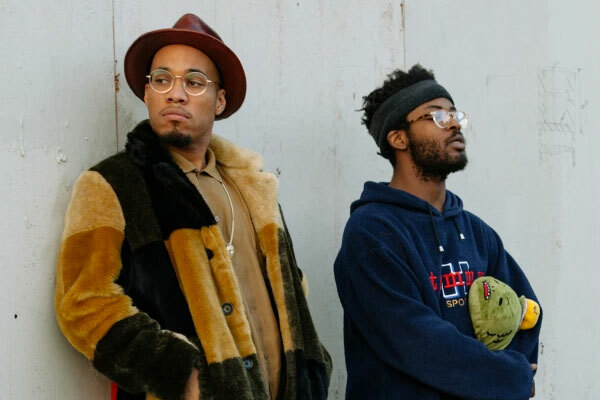 I’ve been waiting for over an hour to speak with Anderson .Paak and Knxwledge, the singer-producer duo who comprise NxWorries and make the kind of tongue-slick soul music that conjures 1970s-era Blaxploitation filcks like Super Fly and Cleopatra Jones… Here’s what we know so far: .Paak has been on a steep ascent since the summer of 2015, when he contributed heavily to Dr. Dre’s forever-awaited Compton. After years of toiling away in L.A.’s independent music scene, he released the funk-drenched solo record Malibu in January — with a carousel of features from ScHoolBoy Q, BJ The Chicago Kid, and The Game. What would follow would be just as impressive: a James Brown-level performance on The Late Show (watching it still gives me chills), collaborative work on Kaytranada’s fantastic 99.9% and Chance the Rapper’s equally-fantastic Coloring Book, and packed-out shows across the festival circuit. Read the rest of the interview HERE, or check out the video for “Suede” below!